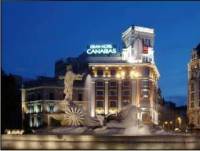 Best Madrid Hotels is not a top ten in the strictest sense as depending on the location or purpose of your visit some of the recomendations here might not suit your purpose. Instead what is included are the best Madrid hotels in each area...thats why there´s ELEVEN of them! Naturally Madrid city center hotels feature strongly but you can also find accomodation close to Barajas airport and even Hotels suitable for those visiting the Ifema center. From Madrid city center luxury hotels to cheap and cheerful hostals everyone can find something suitable in the center of Madrid! 4 star, City Center Long a favourite of regular visitors due to its high levels of customer care and prime location in Madrids city center the Tryp Ciebeles means every major tourist attraction is just a stones throw away. 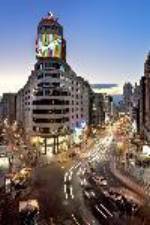 As with almost all of the established Madrid city center hotels it is advisable to book as early as capacity is limited. This is especially true of peak season summer weekends and Madrid holiday periods. 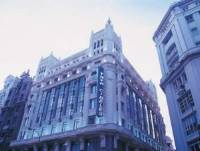 4 star, City Center The Hotel Gran Canarias must occupy one of the most central positions in Madrids city center. Firmly planted between the three major Art galleries everything is within walking distance. For those who like the traditional Spanish nighlife (tapas bars and restaurants) these are literally "just around the corner" in Barrio Huertas. With the Metro, National Rail and local Train station of Atocha not more than 200m away its the Hotel Gran Canarias provides an ideal place to rest up before continuing a journey around Spain. 3 star, City Center The Senator Spa is a popular high quality hotel located on Madrids famous Gran Via (Big Street) running through the heart of the city. Although its downtown Madrid location would lead you to believe its expensive it is actually half the price of comparative hotels. Easy connections via metro and bus are available outside the front door but with 95% of Madrids attractions within a five minute walk you will hardly need to make use of them! 4 star, City Center The fantastic and iconic listed building that is now the Madrid Viccini Capitol is perfect for a romantic weekend or simply if you want to be in the center of the action. The Hotel Viccini prides itself on its rooms which retain their original fittings tastefully augmented by the addition of modern comforts and top quality service. Close to all the best Spanish restaurants you can enjoy a real piece of Spanish culture in the center of its capital! BUDGET, City Center One of two hostals in the center of Madrid that offer service standards and quality comparable to most three star hotels. 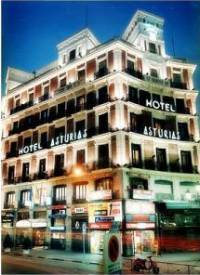 The Hostel Asturias offers private rooms and bathrooms with all the services of an Hotel. Make no mistake, this is certainly a Hotel and not an Hostal except for in name. Enjoying a prime location around the corner from the Puerta del Sol a more downtown location at a more affordable price is not possible! BUDGET, City Center Selected due to good reviews from friends who stayed here when visiting from the USA. 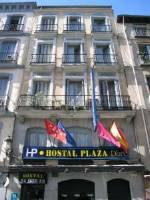 Both affordable and comfortable the Hostal Plaza D Ort offers a recluse after a days walking and sightseeing. The fact you can actually walk to almost all of Madrids attractions being one of the great advantages of this Hotel. For anything further afield such as an excursion to one of the towns outside Madrid the metro, bus and rail routes are easily accesible from downtown Madrid.